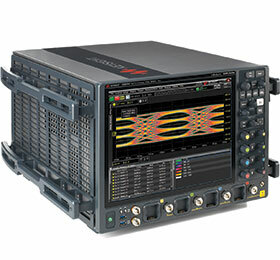 Keysight Technologies unveiled the Infiniium UXR series of oscilloscopes, with models ranging from 13 to 110 GHz of true analog bandwidth. They enable high-speed serial and optical designers, focused on current and next generation technologies, to quickly create comprehensive designs with higher margins. High-performance levels, combined with a wide selection of bandwidth choices, make the Infiniium UXR-series an ideal solution for engineers and designers working with any generation of DDR, USB, PCIe or other serial technologies, as well as PAM4, 5G, radar, satellite communications and optical designs. The oscilloscopes deliver a low noise floor and high vertical resolution to ensure measurements are not impacted by oscilloscope noise and signals are represented accurately. As a result, eye diagrams are significantly more open, and true margins and performance can be determined.